Costs – Learn more about the statistics for maintaining or removing tree and stumps in the Phoenix, Arizona and how it contributes to increasing the $9.4 million benefits to community citizens. 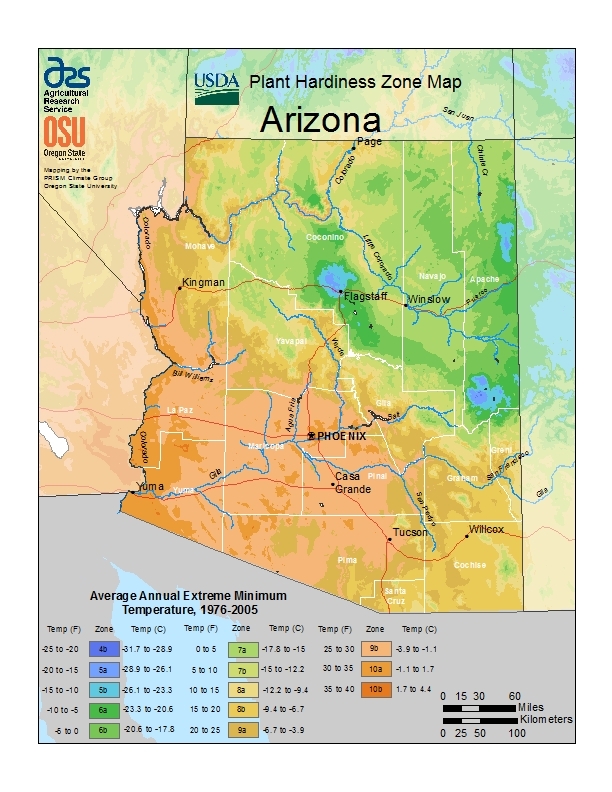 FAQs – With almost 93,000 trees in the urban area, Phoenix has a lot of green. And there’s always room for more. Find out what kinds of trees thrive in the area or don’t, more on the plant hardiness zones of the whole state, info on the state tree, diseases affecting the greenery and more! Services – Talk to a tree service professional in the greater Phoenix area today and see what you can do to keep a piece of the desert green alive and healthy. How Much Do Tree Services Cost in Phoenix? Phoenix, Arizona is not a desert. During its 2013 Arbor Day, a program tracked 92,834 trees across the city that contributed to greening the urban portion of the city. That’s not even counting those in the residential sectors of Phoenix. 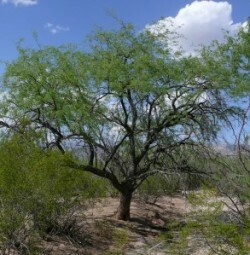 If you own a tree in Phoenix, continue to care for it. We have the statistics you need to know below. Should a tree not survive the desert-like heat in Phoenix, tree service professionals will quote homeowners a price somewhere between $360 and $498 usually for taking it down. This includes height, circumference of the tree, hours to take it down and other circumstances included in the project. This will not include if there are power lines close to the tree, or if the tree could be too close to your home to possibly fall on it. Those could cost extra. However, the average cost a homeowner is looking at is around $429. Stump removal in Phoenix will cost between $250-300 and will take between two and three days, depending on whether they grind the stump down into wood chips and leave a portion of the stump in the ground or pull the entire stump from the ground and haul it away. Tree maintenance–trimming, cutting, pruning–will cost Phoenix homeowners around the ballparks figures of $313 and $445, depending on the complexity of their tree types. If their trees are super bushy, near power lines or have some other complex issues, they could be a bit more expensive. Mostly though, homeowners are looking at an average price of $379 for regular maintenance on their trees. According to the city of Phoenix, those 92,834 trees equal $9.4 million in air quality, water management, energy, and shade every year. Pretty nice, right? That’s why Phoenix residents should keep planting and maintaining their own trees, to keep increasing this number and contributing to the benefits the whole city can enjoy as a community. Phoenix requires no permits or notifications to the city on the part of the homeowner when removing a tree from their property. However, they are not allowed to mess with lawns or trees that are on lawns in between sidewalks and roadways, in alleys, or any other unclaimed property in residential areas. The best time to remove most trees in Phoenix is during the fall or winter. The exception is citrus trees, which should be removed during early spring. SRP, Arizona’s public utility company, requires that no homeowners have trees pruned or removed within 10 feet of power lines. It is against state law, not to mention dangerous. They should call the utility company instead, which has trained professionals to come out and prune the vegetation. 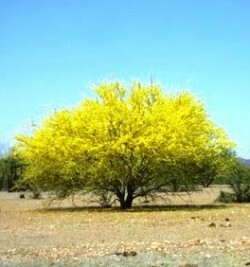 Blue palo verde (Cercidium floridum), palo verde as Spanish for “green stick”, has been the state tree of Arizona since 1954. Beginning to bloom in late March, blue palo verde are found in the desert and foothills of Arizona. It can reach a height of 32 feet. Citrus, plum, pomegranate, blackberries, blueberries, boysenberries, grapes, pears, nectarines, and apricots can all be grown in the desert climate. The rule for growing fruit trees in Arizona is basically that it has to be able to withstand 300 hours of chilling and the extreme heat that occurs during the summer. If it can do that, it’s going to produce some good fruit for homeowners to enjoy. Texas Phoenix palm decline is the major disease hitting palms in Phoenix right now. It’s a fatal disease that starts with discoloration then with the foliage discoloring and fruit dying. Lethal yellowing is similar and can be told apart from general wilting that occurs from trees not getting enough water because of the yellow coloring. Tree borers are insects that liv under the bark of trees: beetles and moths for example. These cause the trees to become hazardous and usually need to be taken down.